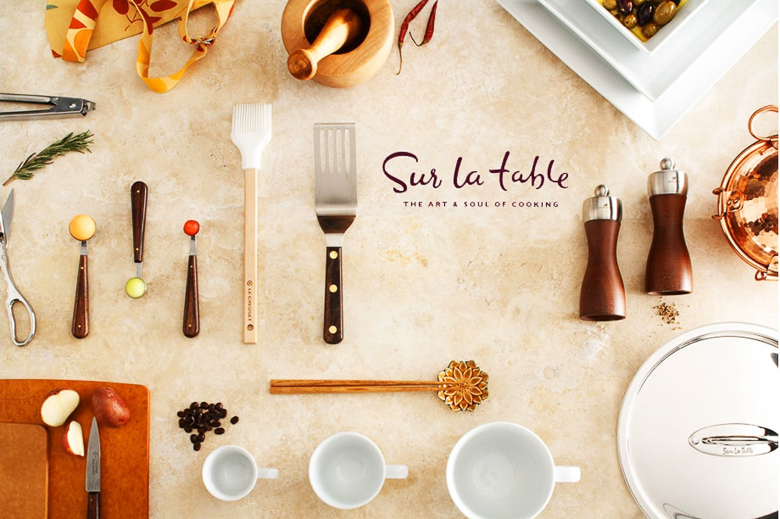 Sur La Table, the premier retailer for creative cooking and artful entertaining, provides inspiration, tools and techniques for those who wish to enhance their lives through creative cooking and artful entertaining. Sur La Table’s comprehensive selection of products includes tools from around the world to prepare any cuisine, as well as beautiful dishes, linens and glasses to create a striking presentation. Sur La Table shops the world for new products providing the unexpected and a sense of discovery, whether you step into one of its stores nationwide, open the pages of its catalog or visit surlatable.com.